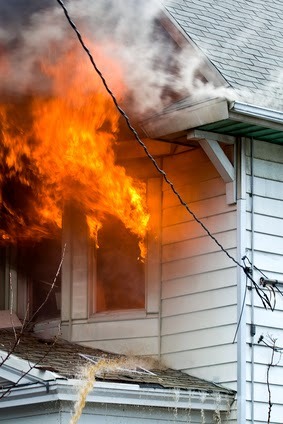 Fires can be so devastating to a home or business. All the property owner can think of is the losses they face and getting things back to normal again. Here are a few tips to help you deal with fire and smoke damage. 1. GET PROFESSIONAL HELP IMMEDIATELY: Contact your insurance company and a trusted restoration contractor. Do not try to deal with fire and/or smoke damage on your own. This is a serious and potentially dangerous situation that needs professional attention. 2. AIR OUT THE PROPERTY: Make sure there is plenty of air circulating through the property. Your contractor should be able to safely help you with this. 3. REACH OUT FOR SUPPORT: If you had a fire that resulted in significant loss, you may need help coping with the loss. Reach out to friends and family for support through this difficult time. Don’t feel ashamed to ask for and accept help. 4. FIND A SAFE PLACE TO STAY: Living or working in a smoke and fire damaged property may not be safe. Be sure that your contractor deems your property safe and inhabitable before returning to it. If you are in the Atlanta area and need professional fire damage restoration services, contact Lang. We are experienced contractors and can help you restore your property to pristine condition. Contact us for more information.